There are 73 houses under deposit and 87 pending sales (under contract) continuing the strong numbers moving forward. 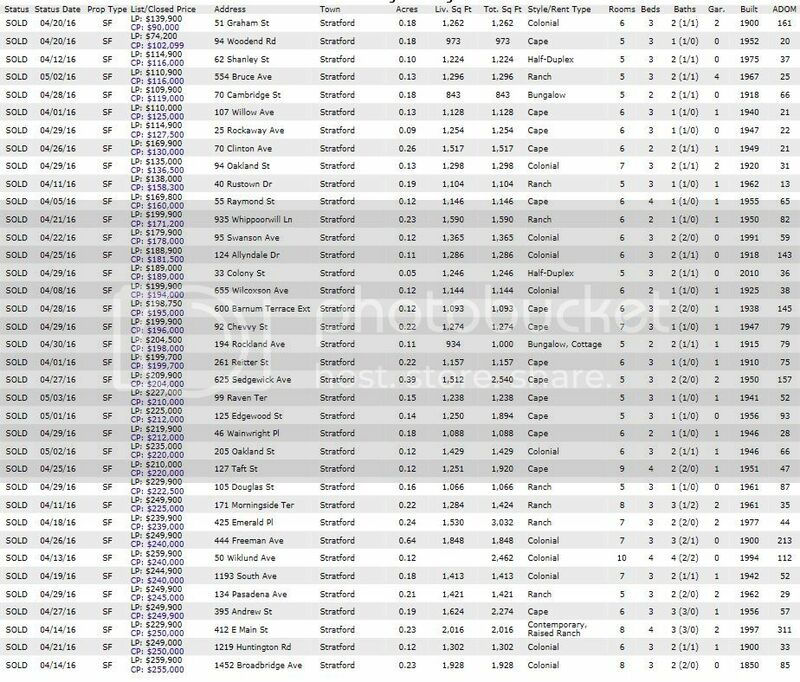 Which houses made the SOLD list in Stratford CT in April 2016? 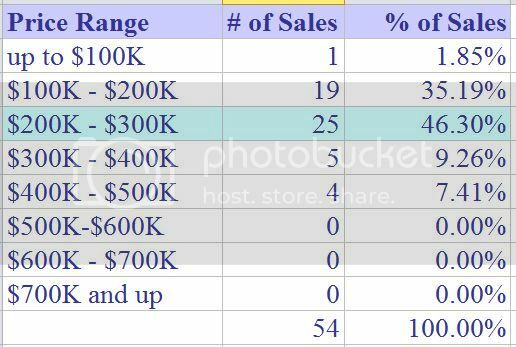 The 200K - $300K range claimed the top spot for sales with the $100K - $200K range right behind it. Stratford CT still remains a very desirable, affordable town for first time buyers and downsizers. 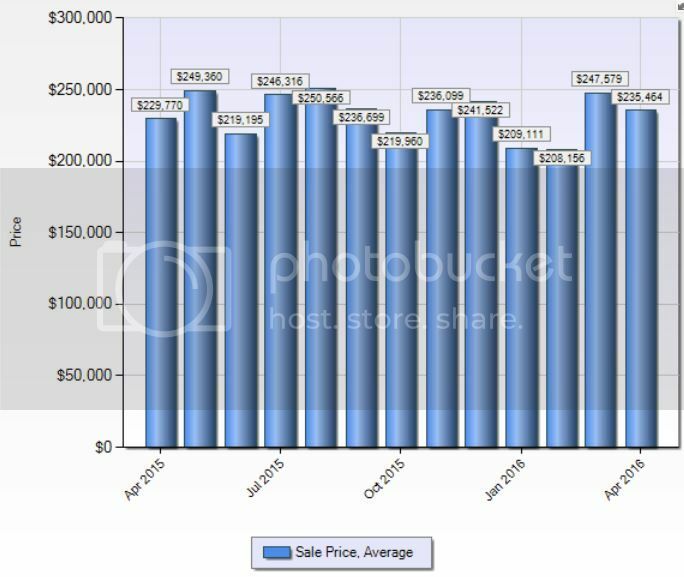 The absorption TREND, which shows the number of months it would take to sell the entire inventory at the same pace, came in at 5.73 months for the last three months, in a seller's market statistically. Sales in April on a nice upswing, up 38% from last month. April closed sale average in respectable territory. 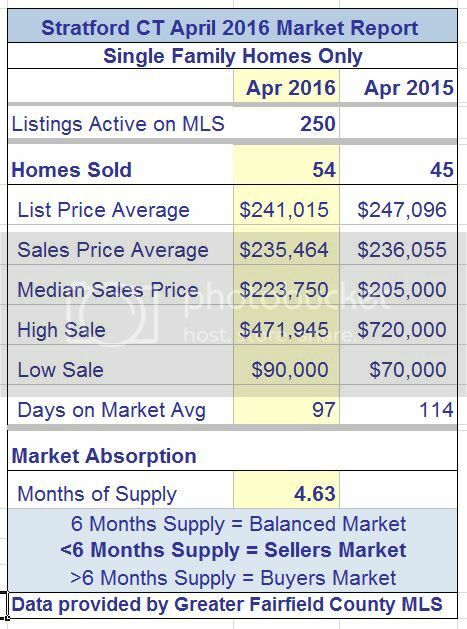 Date Source: Greater Fairfield County Multiple Listing Service -- May 25, 2016. No representation or warranty is made to the accuracy of this information. Average vs. Median Home Prices -- What’s the Difference?